Beat the Beat Rhythm Paradise Wii Review With a diverse and entertaining soundtrack, Beat the Beat Rhythm Paradise is truly a game that the Nintendo Wii needed and will keep you busy until the release of the Wii-U. Who would have thought that the A button and to an extent the B button could create some bizarre gaming experience that is actually quite fun to play. Kewl! Japanese game developer Yoshio Sakamoto really knows how to think outside the "norm" when it comes to strange gaming premises and Beat the Beat Rhythm Paradise is no exception to that rule. At its deliciously rhythmic heart, Beat the Beat Rhythm Paradise is a musical rhythm game that requires players to find their inner groove as they compete in over 50 mini-games with one of the best soundtracks of the year. It's all about timing and finding that perfect tempo and more importantly for Wii fans, this might be the last great title for the Nintendo Wii of 2012, especially with the Wii-U just around the corner. Another fun element of Beat the Beat Rhythm Paradise is that the mini-games are quite short which makes this the perfect title to play for long or short bouts. The premise behind all the mini-games are all quite ridiculously crazy, yet fun in this strange quirky way. 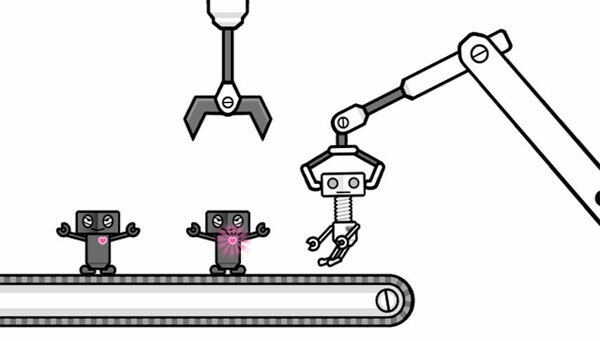 For example, some mini-games may require you to get peas onto a fork or you have to pick up screws from a conveyor belt... and then you have something totally different like badminton. Even though the controls of the game are simplistic, the timing and tempo of the game, especially with the ever changing graphics create this fun visual and audio experience. As mentioned, the mini-games are so diverse that you really don't know what to expect and even though they are graphically crimped, the soundtrack embedded into the games creates this remarkable music based experience, provided you have found your inner groove. The key to the game is matching the music with the gameplay and timing does play a key role. In relation to controls and interestingly enough, Beat the Beat does not use the motion controls of the Wii. Rather, the game only uses two buttons that include the A and B buttons. That's it. Its pure simplicity is quite genius. Another incentives in the game include points and the more you rack up, the more goodies that you can unlock such as items and music. 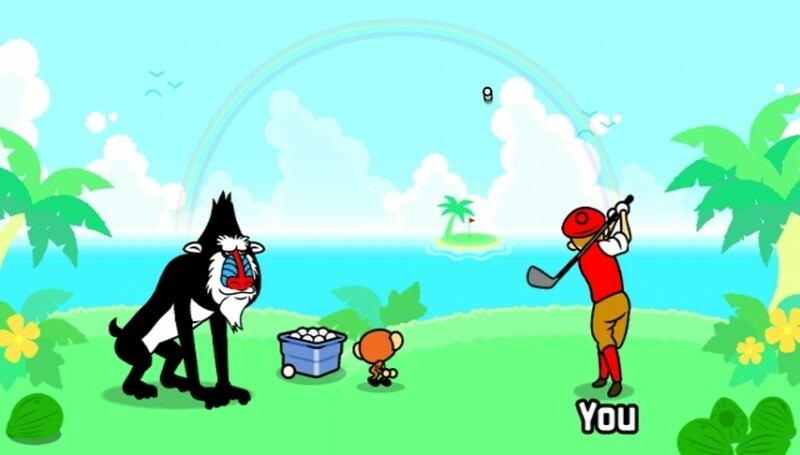 As with all Wii titles that collect a plethora of mini-games, Beat the Beat can at times be a frustrating experience, especially for some of the games that don't explain their premises very well to the player in what needs to be done. There is a touch of lost in translation here. But if the stage is still too difficult, a dog barista comes to the rescue who allows you skip to the next stage. Whether you're rapping, whacking lollies into a box or high fiving a monkey as he spins on a clock, I've spent hours playing this bizarre game about rhythm and timing. Just check out the screen shots for bizarreness! As you progress in the mini-games, some of these games do become a little difficult but seeing the strange graphics and characters come alive is well worth the persistence because in order to proceed perfect, you need to master some of the mini-games in three attempts. If things become too frustrating you can have a break from the mini-games and play with some of the toys you have been rewarded with. There are tutorials to the various games that you play and some feedback is given to the player on their performance or lack of, however it is not quite that substantial to give you an edge. As you interview Mexican wrestling stars and catch peas thrown at the viewer, Beat the Beat contains some interesting remix stages as well which merges some of the mini-games together. These remix stages are quite fun. One of my gripes with Beat the Beat is the multiplayer component which is a little on the dull side and only gives players access to a small amount of the mini-games. 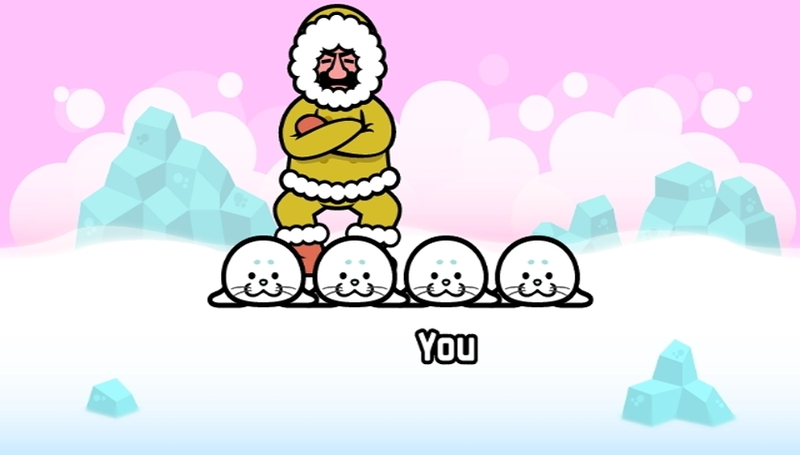 It's still fun but if the developers put a little more effort into the multiplayer aspect of Beat the Beat, it could have been the next big party game hit. Another gripe is that once you have completed all the mini-games in this collection, the replay value does get cut short but of course, you have those high scores to beat. Graphically, Beat the Beat is a very strange and colourful looking game on the Wii and even though it is a tad dated, the developers have really thought outside the square in terms of design. I love the stylised characters in the game such as the monkeys and the dogs that look uber cute. 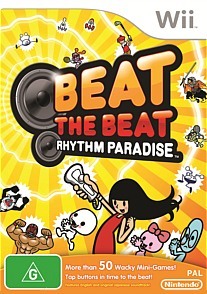 Add in all the strange special effects and together with the gameplay, Beat the Beat will definitely keep Wii gamers entertained. The animation of the game is also quite impressive and really gets you into the spirit, especially with the boppy music. The musical score for Beat the Beat is however the star of this game, in particular to the great use of J-Pop to Jazz and everything else in-between. 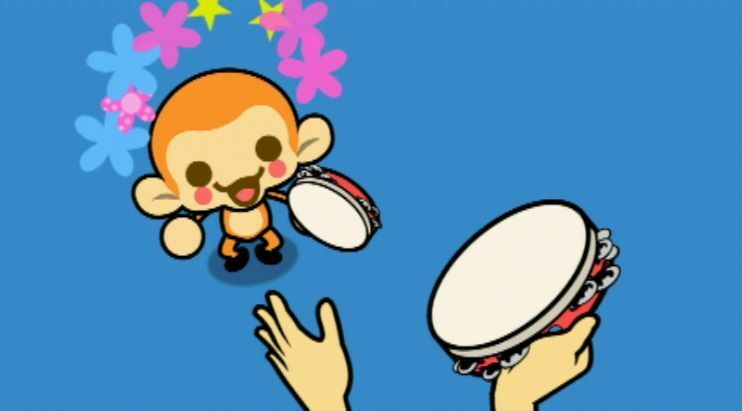 With a diverse and entertaining soundtrack, Beat the Beat Rhythm Paradise is truly a game that the Nintendo Wii needed and will keep you busy until the release of the Wii-U. Who would have thought that the A button and to an extent the B button could create some bizarre gaming experience that is actually quite fun to play. Kewl!